As a Parent, How Can You Prevent Bullying? October is national bullying prevention month. 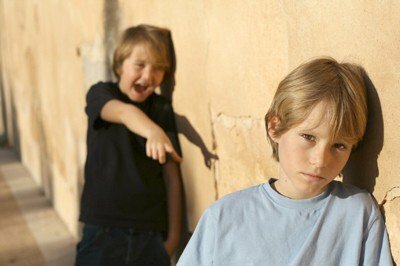 What can you do if your child has been bullied or is doing the bullying? The field of emotional intelligence can help parents learn and teach skills to navigate this difficult challenge. According to a recent U.S. study, one in five students have been bullied “sometimes” or more often. Synapse School in Menlo Park is a place where emotional intelligence is taught alongside reading and math. Synapse is kind of a laboratory school (project-based learning, no grades) where children learn social and emotional skills every day and a big component is teaching parents to practice at home. That doesn’t mean there is never any teasing or bullying. Ben comes home from Synapse School one day obviously not himself. His mom, Jill, is attuned to her 5-year-old son and can read from his body language that it has been a tough day at school. As they sit down, Ben volunteers, “Mommy, the kids were mean to me at school today.” Keeping calm, Jill says in a neutral tone, “Tell me about it.” Ben tells her about the “Save the Bugs Club” that was started by one kid in the class, and how some of the kids were allowed in while some were not. Not only was he excluded, within minutes half the kindergarten class was calling Ben a bug killer. When the teachers saw Ben being bullied, they immediately called a meeting. They empowered Ben to tell his side of the story. Ben told his classmates that he was very MAD that everyone thought he was a bug killer! He was SAD that some of his friends went against him. He asserted that he was not a bug killer; and in fact, he LOVES bugs. Hearing about Ben’s feelings, the kids empathized and saw that they really hurt him. Members of the bugs team were then asked to make an “active apology” to Ben where they came up with three things that they most appreciated about Ben. They created a poster of the active apology and there was a round of hugs from everyone. Ben felt much better, and trust in the classroom was once again restored. Even in kindergarten, there is a strong human desire to belong, and in so doing, sometime to exclude others. Equally strong is an urge to restore social harmony in a group once there has been conflict. What if we were to give kids and adults the tools necessary to help to rewrite the typical script for the bullying process or prevent it from even starting? What if we were to teach them the skills of Emotional Intelligence (EQ)? This is a useful post for parents to prevent bullying. Thanks so much!